Imagine yourself becoming an expert in: CARBON NEUTRALITY. The GreenConsulting program focuses its efforts on the training of professionals seeking to be experts in Organizational Carbon Neutrality, in order to make the Paris Agreement a reality in the DNA of the productive sectors of Latin America, and of the countries that ratified their agreement with the international treaty. Our recommended proposal is that through the technical support of GreenCloud®, you as an environmental expert, can provide accompaniment to the: small, medium and large companies, in the process of neutralizing their greenhouse gas emissions, as a pragmatic action that contributes to the mitigation of the causes and effects of Climate Change. 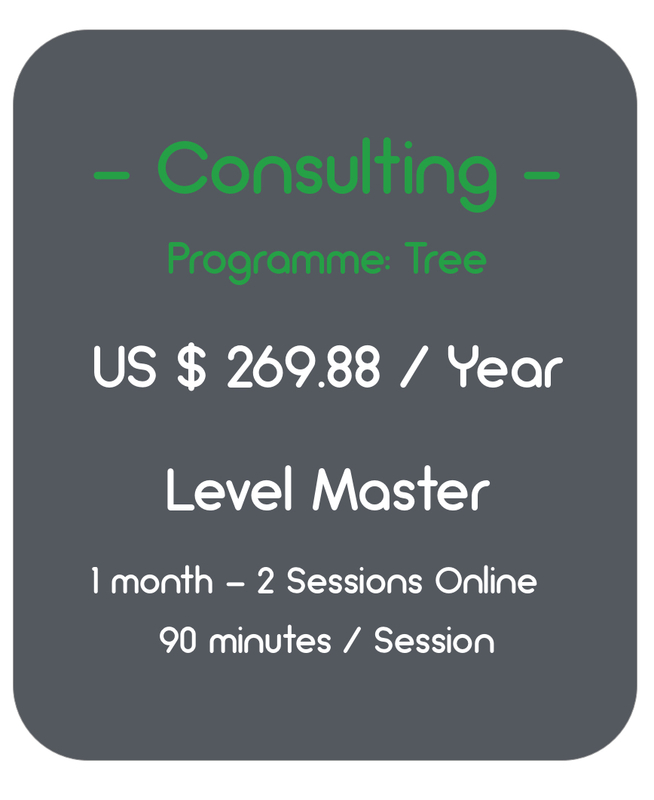 The courses of the GreenConsulting are managed individually or in groups, up to a maximum of 10 people per group and are carried out Online via ZOOM®. Each personalized course is oriented to answer specific requirements of the productive economies according to the international reference standards: GHG Protocol; ISO 14064-1; IPCC. The GreenConsulting team of GreenCloud®, reserves the right of admission of new Professionals to the program of formation and consultancy in Organizational Carbon Neutrality. 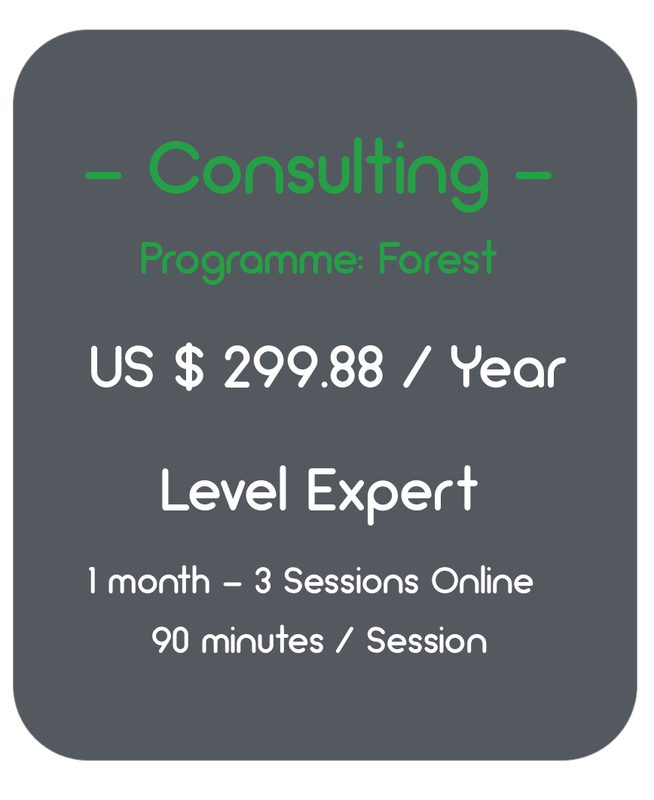 The consultants through the GreenConsulting program not only receive personalized training under a real case study model, but also acquire a GreenCloud® consultant account to work out their exercises and future business consulting opportunities. Each consultant account is associated with a unique code called #GreenCode within our platform. With GreenCloud® the consultants generate income from US $ 104.00 per hour of effective online advice, mainly with organizations that do not exceed 50 employees, and that manage a single work facility for the effectiveness of their operations. WANT TO BE PART OF OUR GREENARMY ? Carbon Neutrality is oriented towards management over: electricity consumption; the generation of wastewater and the consumption of fossil fuels. Carbon Neutrality focuses on the management of: electricity consumption; the generation of wastewater, the consumption of fossil fuels and the generation of solid waste. Carbon Neutrality is implemented towards the management of: all sources of greenhouse gas emissions, which are part of the operational limits of the organization. You must have experience in the management of Key Environmental Performance Indicators within any type of organizational system, whether in public or private institutions!